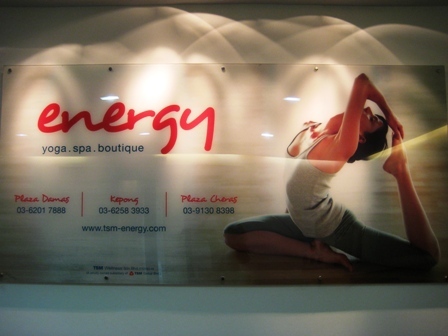 The official launch of the Energy Yoga outlet at Plaza Damas is taking place on 18th July 2009, this Saturday, and you wouldn’t want to miss it! Held between 9am-5pm, lots of exciting programmess are in store for you. The event will start with a big bang with a grand opening by YB Dato’ Sri Liow Tiong Lai, the Health Minister of Malaysia. And lots of promotions are waiting to be snapped up all day long too. Wow! Sounds like the yoga event of the year, doesn’t it? So mark the date on your calendar and don’t miss it! Dear Jean, Thanx for attending our official launch, it was great to have you there with us. Hope you had a great time.